The latest venture of Ashutosh is an epic adventure-romantic flick. Its storyline is set in the 2016 BC when the Indus Valley civilization was at its height. Not only direction, but the director has penned the film’s story as well as he has done the screenplay for it. He took three years for the research of this fictional story. The story of the talkie is about a young Indigo farmer named Sarman played by Hrithik. Once he gets to travel to the city of MohenjoDaro. While being there, he started liking a high-status woman named Chaani played by Pooja. Eventually, he fell in love with her who is the daughter of the priest. After that, he stays there to win his love. During this course, he discovered secrets regarding Chaani, the city, and his past. Rest is the crux. You will need to watch the movie know that else the fun will be spoiled. Hrithik had been busy for two years to work on his character for the film. His hard work reflects in the flick via his performance. He is one of the highlights of the movie. Pooja has entered into the Bollywood film industry with this movie. She has done justice to her role. The chemistry between Hrithik and Pooja is well appreciable and a treat for the fans. Kabir Bedi, Arunoday Singh, Suhasini Mulay, Nitish Bharadwaj and others have played their supporting roles very well. The film is produced by Siddharth Roy Kapur and Sunita Gowariker. They took it to produce under the banner of UTV Motion Pictures and Ashutosh Gowariker Productions Pvt. Ltd. (AGPPL). They have kept high production values in the film. There are more key points to appreciate the movie like an engaging screenplay, fantastic action, and dance sequences, as well as background music and picturisation, add to its highlights as revealed by the audience. Below we have some of the Mohenjo Daro reviews by audience picked from microblogging platform Twitter. Exclusive Review #MohenjoDaro from Overseas. A brilliant film in all Respects. Great Performances & Tight Writing. 4/5 #Hrithik has delivered a career-best performance. He nails the character head on and proves that only he could have played such a character. His transformation from farmer to lover to a fighter is legendary. Fast paced- Ashu’s fastest movie hands down. Loads are going on. And the action scenes are fun! Can’t rate but it’s a pretty good film- worth watching on the big screen. The sets, cinematography, are stunning. I think the historians can take some rest come tomorrow. It’s far from a historical. Out n out fantasy film. Treatment makes a big difference to the story. Loads of action and trust me I am equally sensitive to it. So is ashu I think but the arena was my fav bit! #‎HrithikRoshan seems born to play this role, and he enacts it with such precision, such flourish, such confidence that it leaves you asking for more. A Mind boggling performance without a doubt! Award Worthy Performance by him. ‪#‎PoojaHegde is Superb. Oh Yes, she looks ethereal. A flawless performance indeed ! ‪#‎KabirBedi also gave Outstanding Performance. Good Performances by all supporting actors. The writing is tight; the drama keeps you hooked, and the romantic track is excellent. Dialogues are amazing. At places, soaked in acid. The writer comes up with several gems, yet again. Direction by Ashutosh Gowariker is OUTSTANDING. The D.O.P captures the grandeur to the fullest. 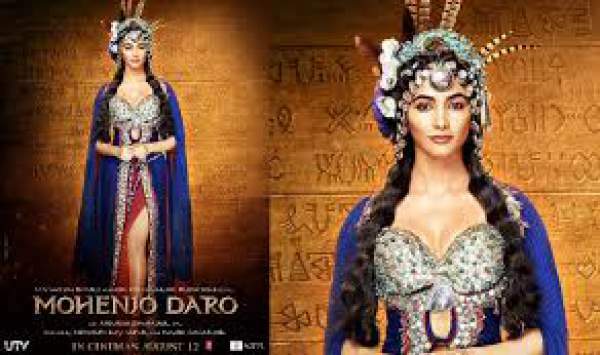 Don’t forget to add your Mohenjo Daro movie review after watching it.